Where to I visit from the airport? Operating through online booking forms, you can book an airport transfer with Airport Express Cars effortlessly. You can also call them on 0330 555 11 22. Comfortable cars, any destination, reliable service. With cars like Mercedes E & S class and Bently's you can be transported in complete luxury for a surprisingly small price. They also offer daily hire including a driver if you have things that you have to do. Offering a luxury service for airport transfers. They have a fleet including Mercedes and MPV vehicles so you can arrive in complete comfort. Genesis Cars of Billingham specialise in airport transfers to and from Teesside airport and all surrounding airports. We run 2 smart Peugeot expert people carriers, one 7 seat and one 8 seat, both with ample luggage space. We now accept credit and debit cards for pre booked fares, paypal and of course cash. We offer a truly Value for Money Service! Tees Valley airport isn’t, as you may think, in Durham. It’s situated 50 miles away, between Darlington and Stockton-on-Tees. Home to the thriving Teesside University, it also hosts the Premier League Football Club, Middlesbrough FC, and the renowned Redcar Racecourse. Because the airport is a little further out, it’s worth booking a cab to get you from Durham Tees Valley to the heart of Durham on time. Which type of taxi would suit me, economy and executive taxis? A wide variety of Durham Tees Valley Airport taxis provide four seater taxis, people carriers, 16-seat mini-buses and luxury cars. Taxis pick up and drop off from outside the terminal building with particular companies offering a meet and greet service and champagne service. The airport is served by both taxi and private hire/ mini-cab companies. Taxis are licensed vehicles that can be taken from the rank, flagged down from the street or pre-booked whereas private hire/ mini cab vehicles are only licensed to be booked in advance through an operator. It is worth noting that it can be hard to get a taxi from the rank outside the airport at peak times without booking. It will also almost always be cheaper to pre-book your vehicle before you travel instead of paying by the meter. Most taxi firms serving the airport offer a good variety of economy taxis including saloon cars, estates, people carriers and minibuses. The smallest taxis will seat up to four people or three with luggage. Prices will vary depending on the size, usually regardless of how many people are using the vehicle. On average expect to pay £30 – £40.00 more for a people carrier or minibus than for a saloon taxi. Economy taxis don’t tend to come with any added extras although some firms will offer baby and booster seats for children on request. Luxury chauffeur services are generally charged at an hourly rate and are popular with business people wanting to make a good first impression and to travel to their destination in comfort or style, or with people coming to Teesside for a special celebration. Typical luxury cars include S and E-Class Mercedes, Bentleys or Limousines. Prices vary depending on the type of car, the length of travel and any added extras (e.g. champagne) A business travel service in an E-Class Mercedes, for example, is likely to cost around £35.00 per hour. Some Durham Tees Valley Airport taxis also offer day hire with a driver for business people making several stops in a day. Where is the taxi rank at Durham Tees Valley Airport – Pick up and Drop off? Taxis usually pick up from the dedicated spot in the main car park just in front of the main terminal building. Most taxi firms will incorporate airport parking into their fares if it’s applicable, although the first 3 hours are free, so there shouldn’t be an issue! Luxury companies offer a meet and greet service which means they will park the car and meet passengers in person when their plane lands. For a full list of services and where the amenities you’ll need are, take a look at the Terminal Guide for Durham Tees Valley. What can I visit from Durham Tees Valley Airport? Durham Tees Valley Airport is the gateway to Teesside, well placed for a number of popular attractions in and around the borough. For more advice on planning your trip to and around the Teeside airport, see our Planning Your Trip section. The historic town of Durham is 25 miles north of the airport and has a number of notable sites including Durham Cathedral (set of the recent Harry Potter films) and Durham Castle (open to the public whilst also home to over 100 students as part of Durham University’s collegiate system) An average taxi journey to the centre of Durham will take 37 minutes and will cost between £65 and £70. 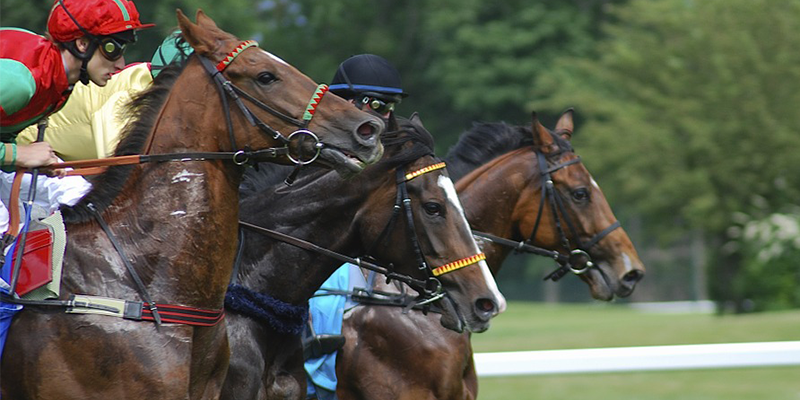 Redcar racecourse is 22 miles away from the airport and approximately a 39 minute taxi ride, although the journey is likely to take longer on race days. The racecourse offers 19 days of action packed racing between April and October, including the Tote Zetland Gold Cup. Expect to pay up to £70 for a taxi for up to four people to the course. Beamish – the Living Museum of the North – is a working museum which recreates the way people in the north lived during the 19th and 20th centuries. The museum is located in County Durham, 34.8 miles from the airport and a 46 minute drive costing around £70 for a one-way saloon taxi. Middlesbrough Football Club has its home at the Riverside Stadium in Middlesbrough, just 12 miles from the airport. A taxi from the airport to the stadium for up to four people will cost between £30 and £35.00. Be sure to book one well in advance on match days. 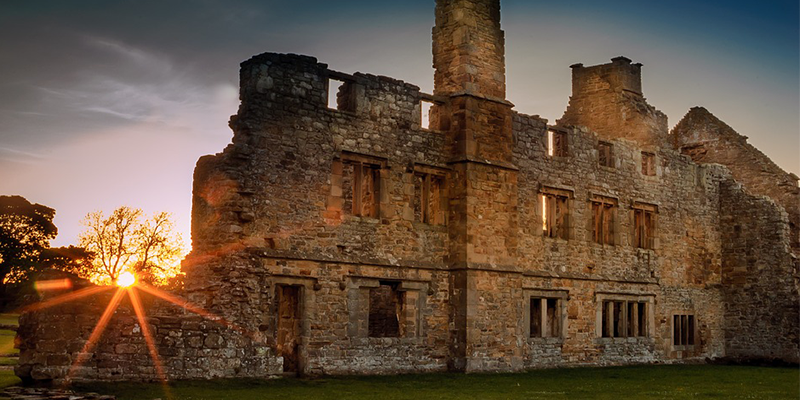 Egglestone Abbey is another must-see attraction, a neighbour to Durham Tees Valley Airport. Now owned by English Heritage, it’s free to enter the ruins of this 12th Century Abbey. You can imagine the Scots charging into Yorkshire and attacking the Abbey as well as the 1250 refurbishment which the architect may still recognise today. Over in Bowes Village, it’s a short 35 minute taxi ride. Looking for even more to do near Durham Airport? Take a look at our local directory, a place to find the latest news and events around County Durham. Other taxi services are available for lifts to or from Durham Tees Valley Airport, if the taxi companies at the top of this page do not appeal to you, why not head over to our Newcastle Airport Guide and take a look at our Newcastle Airport Taxi providers who will be happy to provide quotes for your Durham Tees Valley trip.